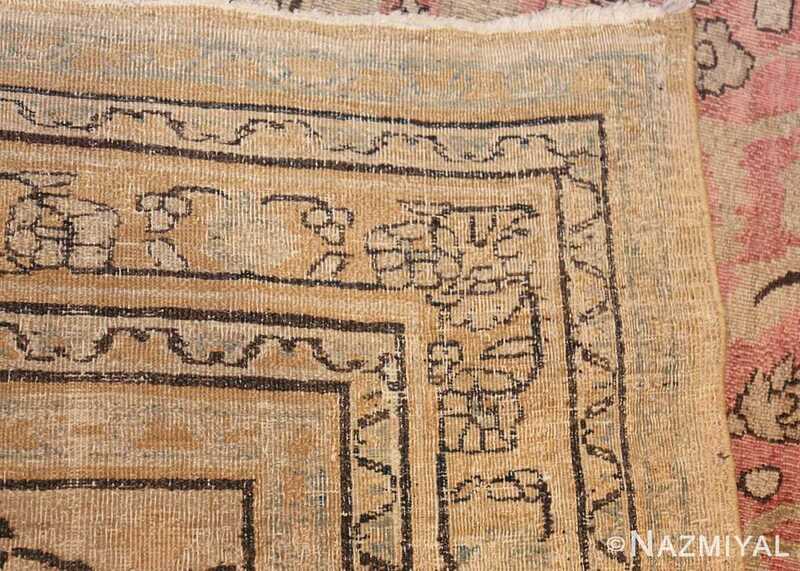 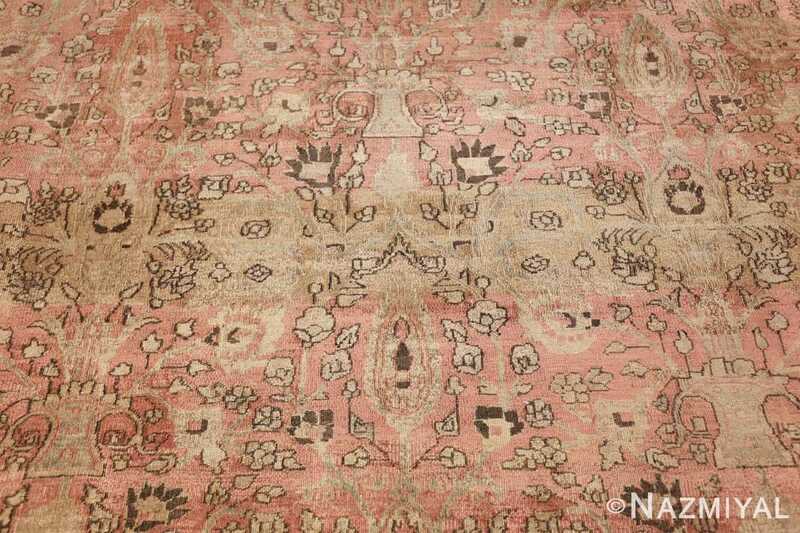 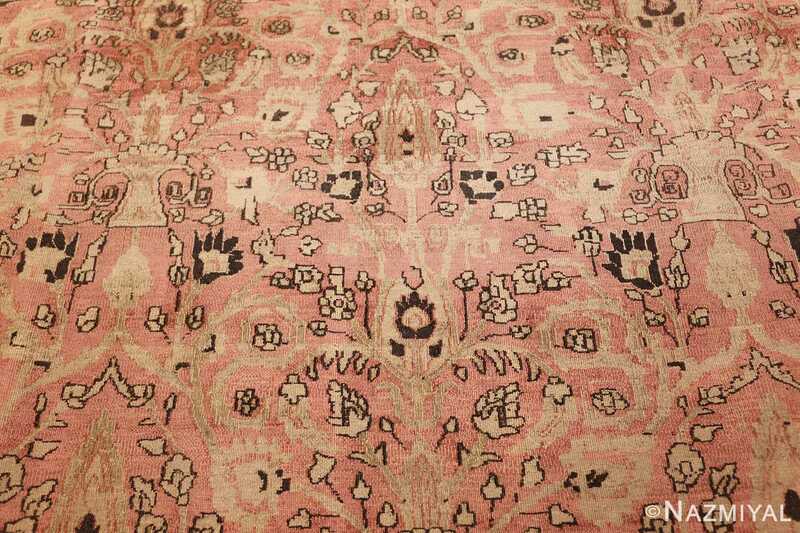 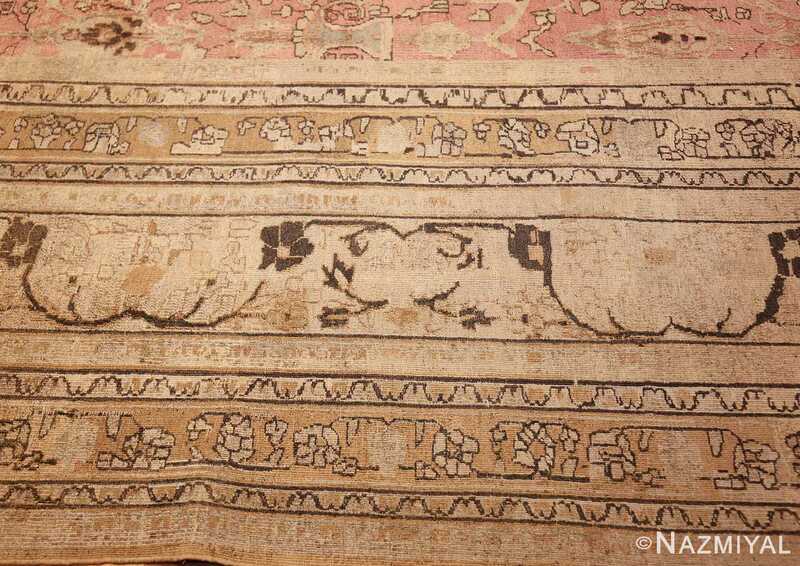 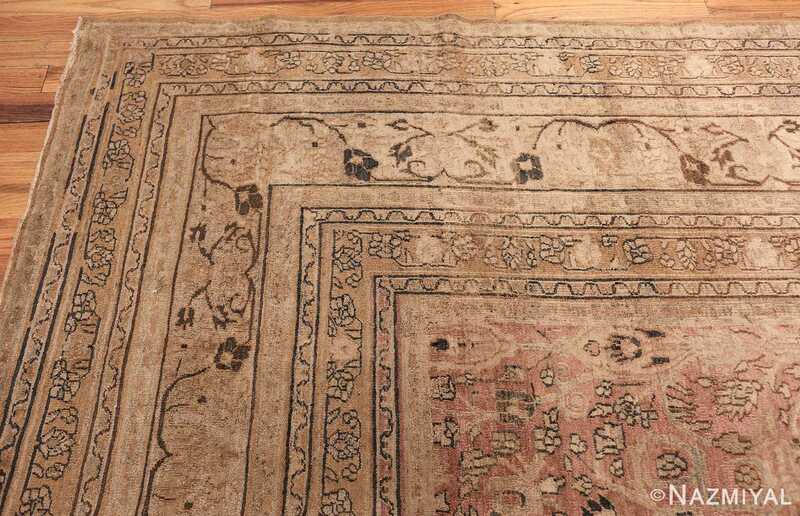 A beautiful and complex allover pattern of vines on a soft rosy lavender ground graces this fine and quite decorative Persian Large size antique Khorassan carpet. 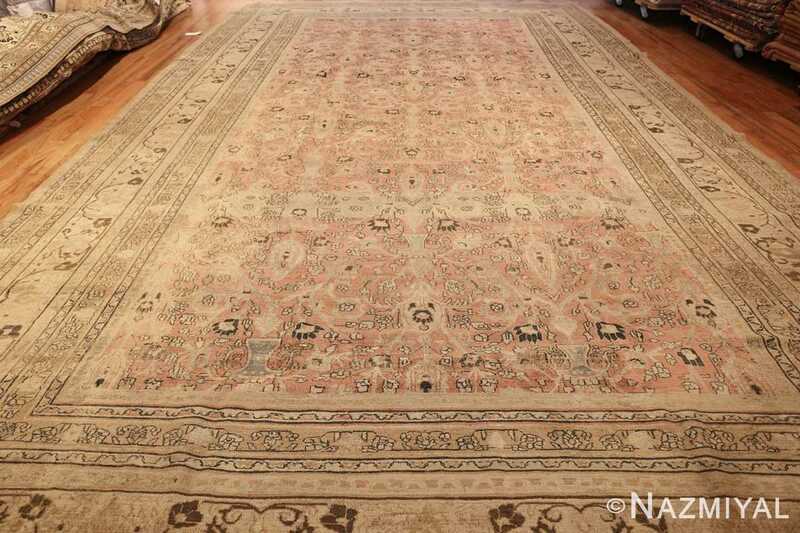 Beautiful and Decorative Large Oversized Antique Khorassan Persian Rug, Country Of Origin: Persia, Circa Date: Early 20th Century – Fine details abound in classic Persian Khorassan rugs, and this beautiful oversized carpet does justice to the region’s traditional style of weaving. 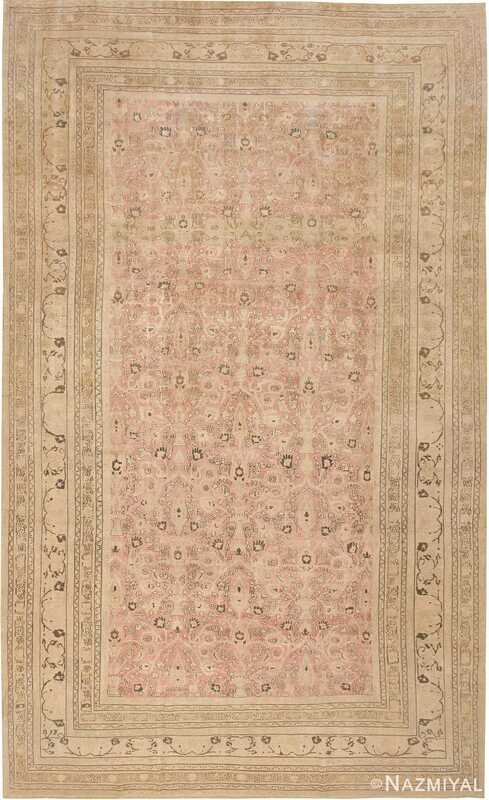 Crafted during the early 20th century, this beautiful Oriental rug showcases classical motifs, such as winding stems and blooming flowers, and the gentle use of outlining allows each element to stand out on its own amidst the backdrop. 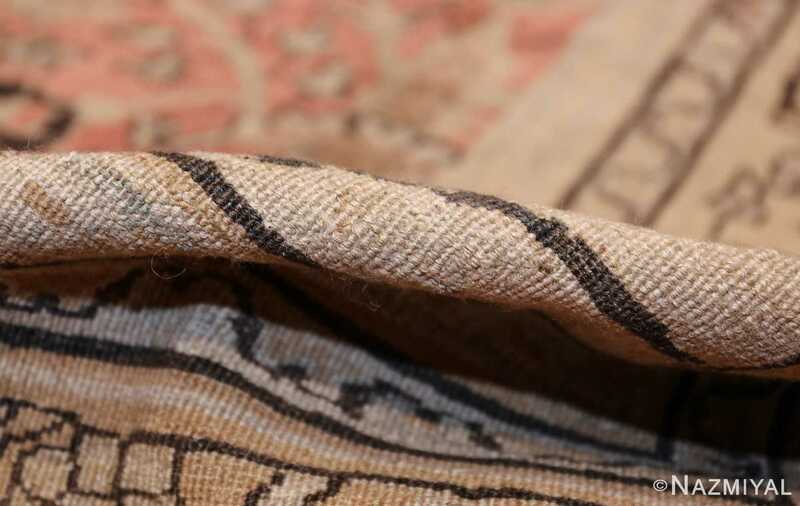 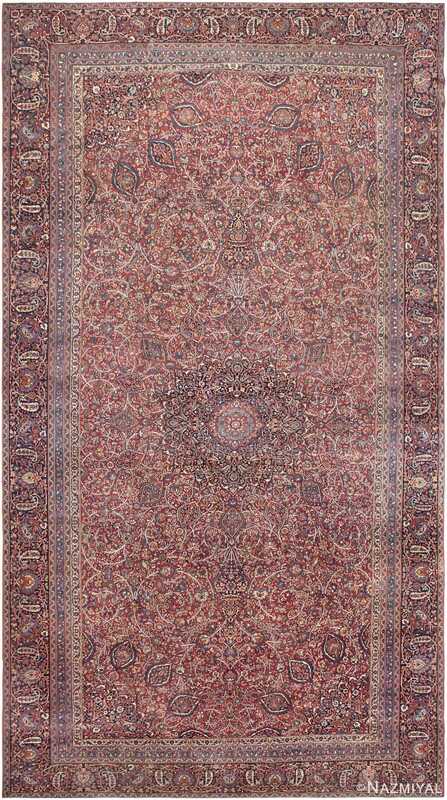 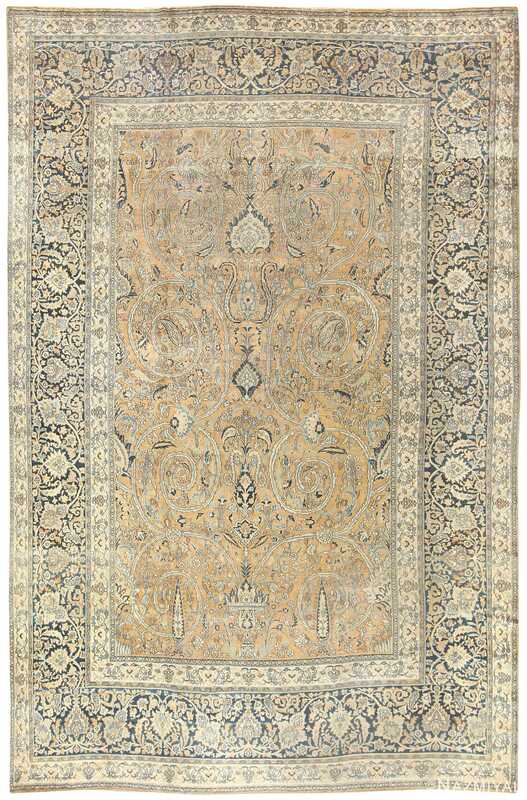 The neutral and earthy color palette chosen to define the Persian rug lends even more grounding to the composition. 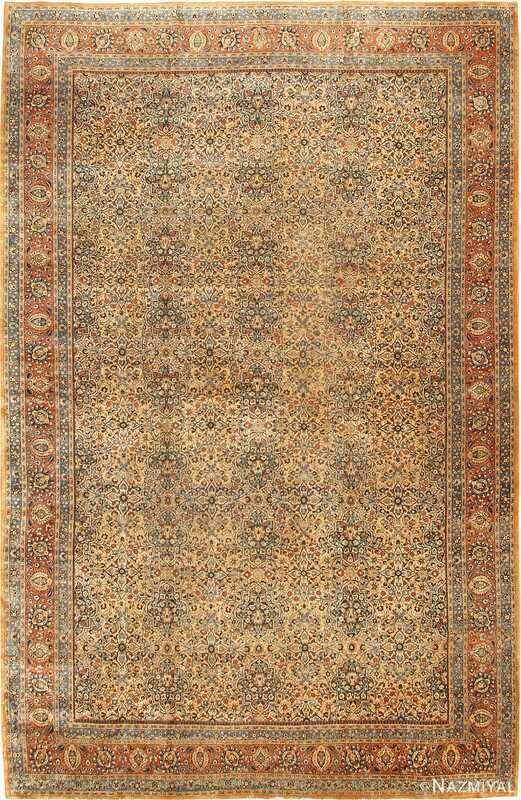 These hues allow the motifs within to thrive, and the strong use of negative space allows for plenty of room between each piece, which lets the viewer work with landmarks at their own pace. Crafted in the mid-20th century, this beauteous antique Persian Khorassan rug depicts a flamboyant medallion composition surrounded by lush curvilinear arabesques.